One of the best parts of living in San Francisco is its oh-so-closeness to wine country. 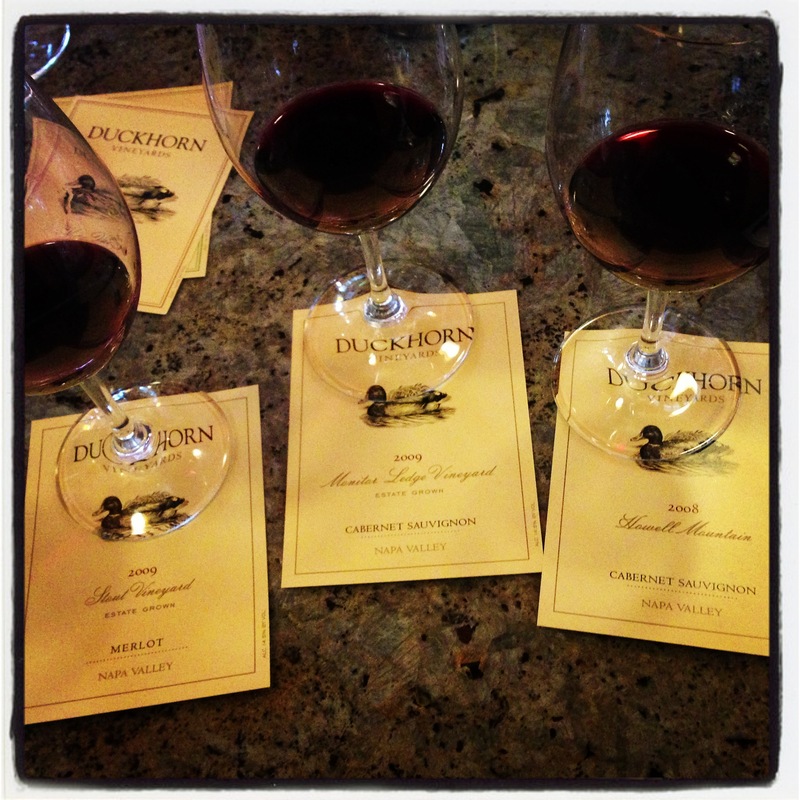 We made a last minute trip up to Napa this past weekend and manged to score a tasting reservation at Duckhorn Winery, arguably one of Napa’s best. The tasting room is a bit preppy for my esthetic, but the service was top notch (our server was SO knowledgeable and friendly!) and the wines we tasted were fantastic. One of the things I really like about Duckhorn is that they have created several wine labels at different price points. In fact, one of the go-to “Tuesday night wines” we drink at the geek homestead is their fabulous and affordable Decoy wine (hehehe). Priced in the $25-30 range and available at Target (at least here in California), the grapes are pulled from many of the same vineyards where Duckhorns far more expensive other wines start out. Definitely recommend visiting the Duckhorn tasting room the next time you’re in Napa or grabbing a bottle of Decoy next time you’re in the mood for something at a slightly more friendly price point!